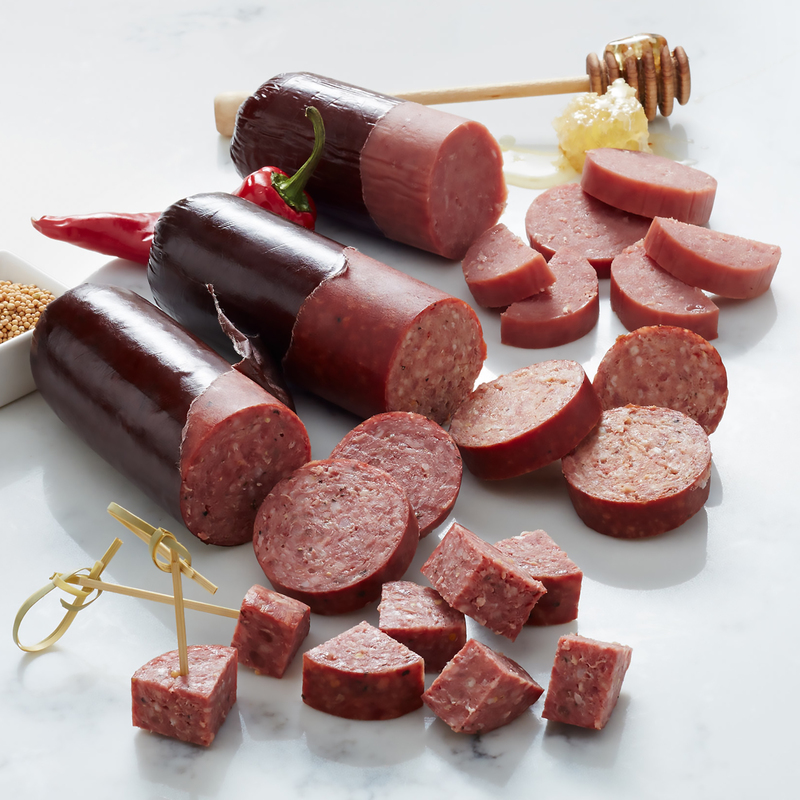 This savory sausage gift features a flight of all three famous Hickory Farms Summer Sausage flavors! One each of Signature Beef, Spicy, and Sweet & Smoky Turkey Summer Sausages make this collection the perfect gift for any summer sausage lover. The can enjoy a classic, or find their new favorite! 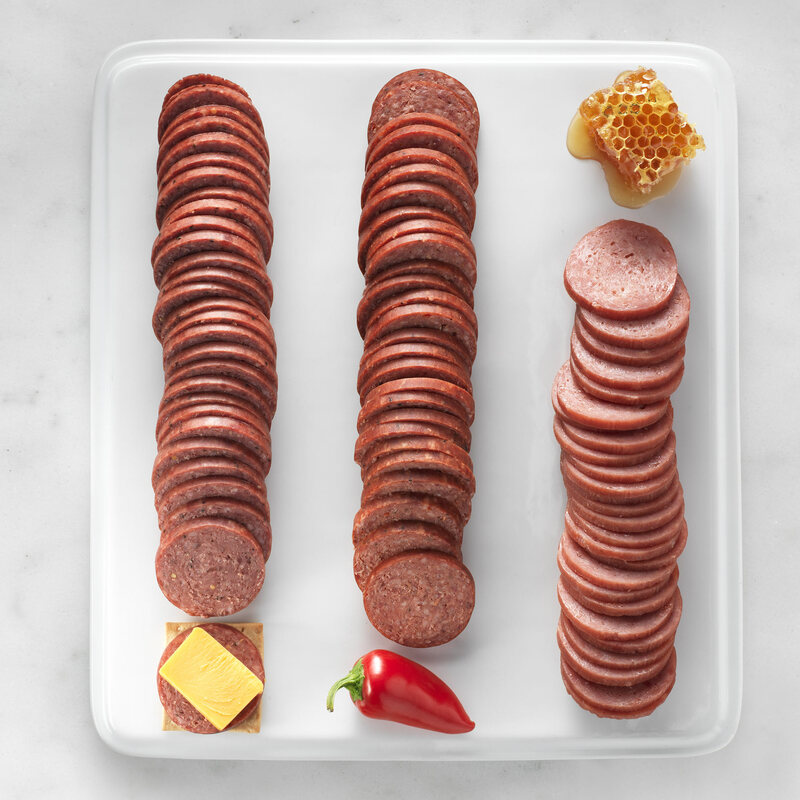 These sausages all taste great on their own, or pair perfectly with Hickory Farms signature cheeses, condiments, and crackers for a great addition to any meat and cheese spread.